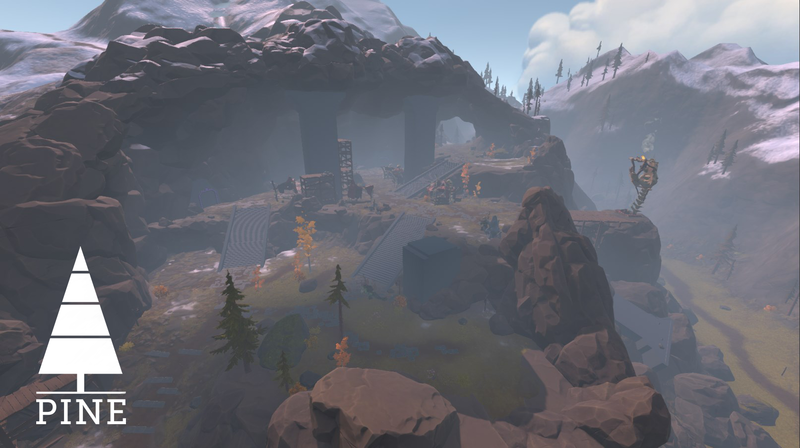 A bit late this month, but to keep you in the loop, here’s another short update on some of the content we’ve been working on in the world of Pine. We’re making a lot of exciting tweaks and advancements on the simulation, as well as on world design, user experience and combat. Have a look! Shooing: when they see something they don’t like and they’re confident, they’ll try to shoo the target away. Guarding: for when the guard role has been assumed, they do a guard pose. Greeting: we have a few different greetings, one of which is a full-body one for when they want to say hi. Hiding: when seeing something they don’t like, species will try to hide in tall grass, hoping it will go away. Cheering: when something really great happens, species will cheer. We kept working on villages, each with their own unique idea. 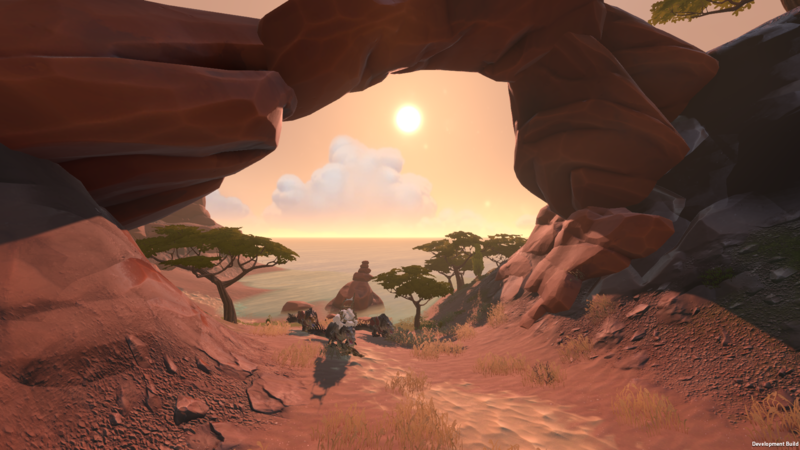 Here are two cool new ones, located around Mount Telkin! 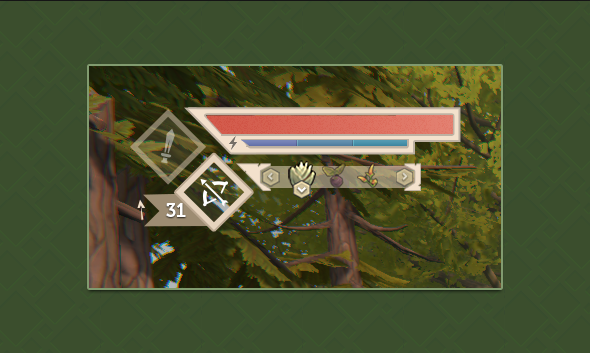 While not implemented yet, we’re working on a small revamp of the main HUD. The player can equip a melee set and ranged set, so we figured we should optimize the HUD for that too. The energy system, which we are still testing, has been formalized in a much more readable format now too. What do you think? Now that the world design is progressing well, sometimes we take a minute to walk or fly around and take some shots of what’s happening around the island. Here are some of those! 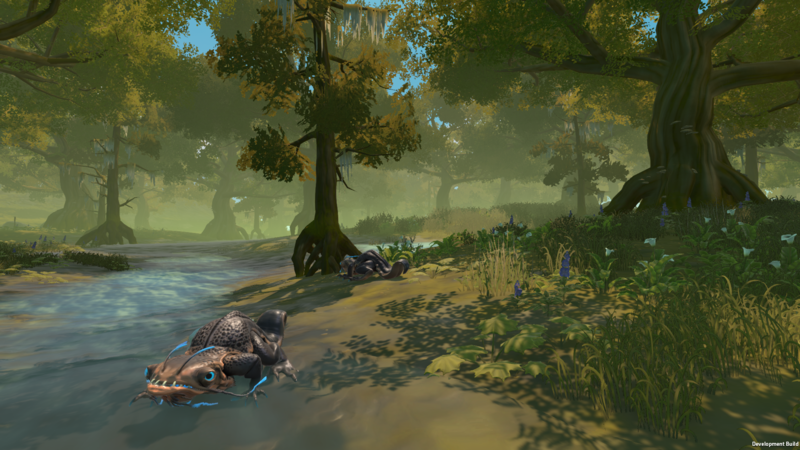 And here are two gifs of the same area around a village called Bohr's Pond, where once a mysteriously large creature had its fishing shop - one at night time with a Fexel tribe installed, one at day time where the Krockers have taken over! Lastly, some important news! As we’ve mentioned, our very early estimate of finishing Pine at the end of this year was not going to happen. 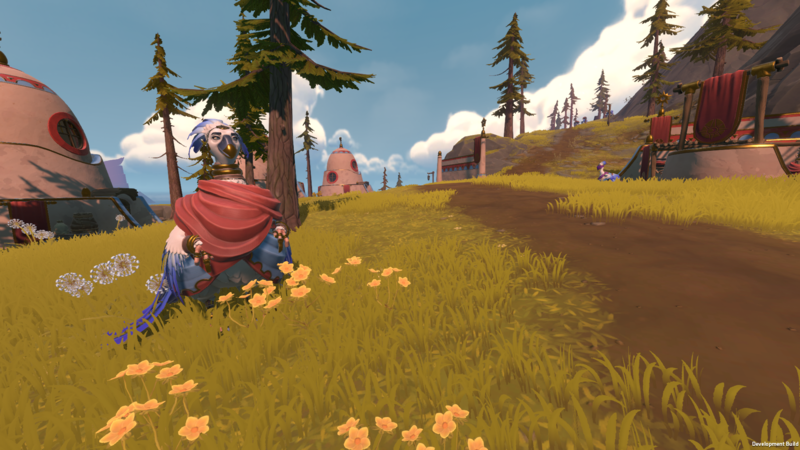 We are happy to say that we are now aiming for a release mid 2019 – a bit later than expected, but we promise it will be definitely worth it! A more specific date and details will follow at a later moment. That’s it for now – we’ll keep working on more content. Talk to you soon! As always, all feedback, questions and comments are welcome. 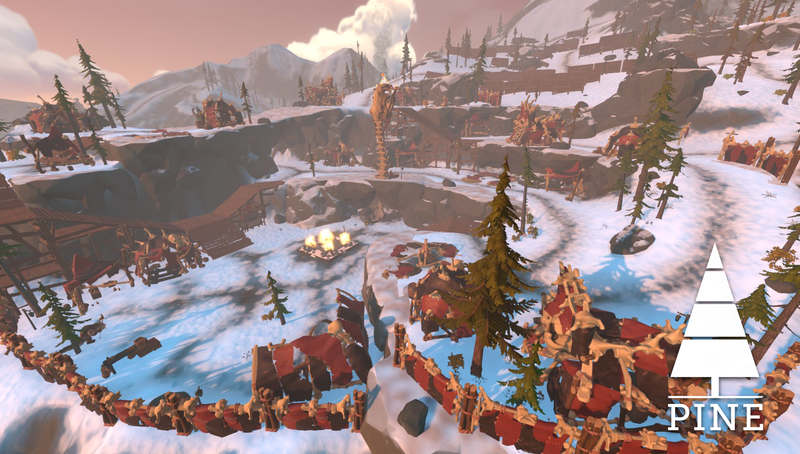 Feel free to reach out through pine[at]twirlbound.com, on IndieDB, on Reddit, on our Discord server, Facebook or Twitter.